The weather finally cooled off and I’ve been knitting accessories for everyone like crazy! There’s something so cozy about a chunky knit. As an added bonus, chunky knits are relatively quick to make. 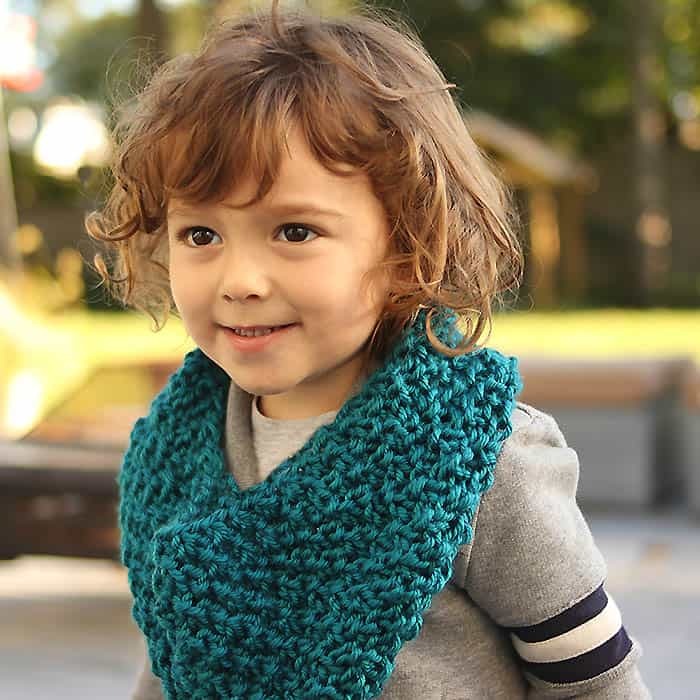 This Kid’s Cowl Knitting Pattern can be completed in a few hours. I chose a Moss Stitch which gives the cowl an interesting texture. If you’re unfamiliar with the Moss Stitch, it’s just alternating knits and purls…perfect for beginners! 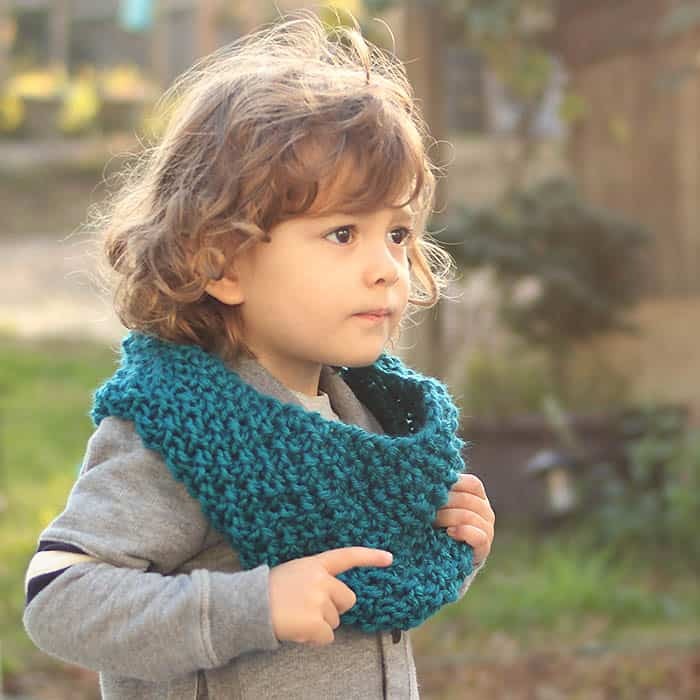 Want more Free Beginner Knitting Patterns? Cast on 52 sts. Repeat the 4 rows of pattern until piece measures 6 1/2 inches. Bind off loosely. Sew side seam and weave in ends. Very cute! Our little one will be too little this winter, but I'll have to pin this cowl pattern for the future!